Out of all the gifts you received - or bought for yourself - this holiday season, your new phone probably holds the title as one of your favorites. We don’t blame you. With face ID, liquid retina, a full-screen front, and Apple’s longest lasting battery yet, the iPhone XR is the phone with all the features we’ve been dreaming of. But just having the newest iPhone is just a start -- there’s a huge market of iPhone accessories that optimize your device and streamlines your user experience. To sort through the plethora of options you have for sprucing up your new iPhone, the experts at InMotion have broken down a couple must-have accessories for your new phone. With everything from chic, protective cases to wireless charging pads, your new iPhone XR and its accessories will be your new favorite tech companion. Although there is nothing quite a beautiful as a naked iPhone, there is also nothing more risky. As Apple works to make their products stronger, iPhone users must also take precautions to protect their device. Speck is a trusted brand of cases for everything from phones to laptops, and the Presidio case is the perfect choice for your new iPhone. 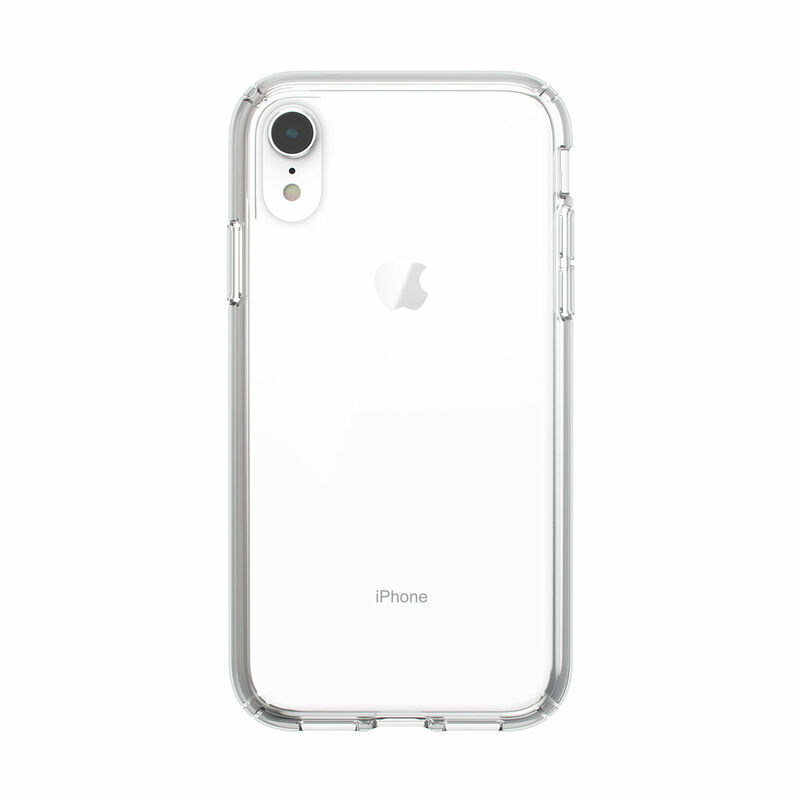 The Speck Presidio case is built with two layers - a polycarbonate outer shell and an inner IMPACTUM lining - to properly absorb and disperse shock across the case when dropped. With 8 feet of drop protection and a raised edge over the screen, you can trust that the Speck Presidio case is one of the most tested and best constructed cases on the market. In addition to keeping your iPhone safe, the Speck Presidio case comes in a variety of styles - including clear, glitter, folio, and grip styles - to match your personal style. A scratch-resistant finish will make sure your case stays looking new for as long as possible and, for clear cases, blocks out oils UV rays to prevent yellowing. Additionally, the Presidio case is designed to allow Qi wireless charging, allowing you to truly utilize all the best features of your new iPhone. Having an iPhone means having an access to music from a variety of sources whenever and wherever you want it. Therefore a new pair of headphones with features to compete with the newest iphone is a must-have accessory to keep in tote. The Shure SE535 Sound Isolating Earphones with Bluetooth Enabled Communication Cable are the perfect headphones that provide versatility to your listening experience. These triple high-definition headphones provide you with a rich, spacious listening experience that blocks up to 37dB of outside noise for an immersive, isolated listening experience. 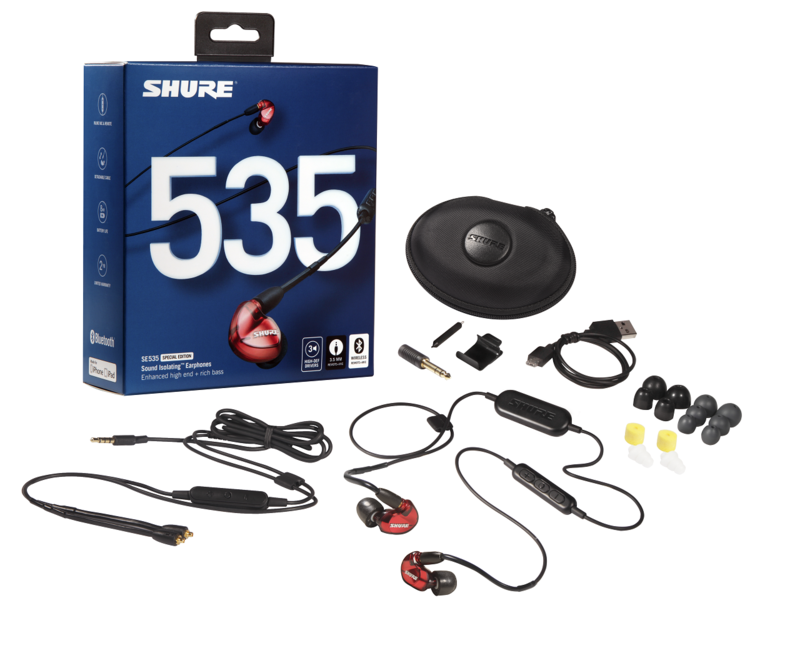 What sets the Shure SE535 Sound Isolating Earphones apart is its detachable cable system that allows the headphones to transform to meet your specific needs - like needing a wireless connect, an auxiliary input, or microphone - without needing an entirely new set of headphones. The earbuds simply disconnect from their cable for a customizable experience that is as versatile as your new iPhone’s capabilities. All this plus comfortable earpieces and a sleek design makes the Shure SE535 Sound Isolating Earphones a clear must-have for music listeners everywhere. All iPhone users know that your charger is your lifeline. With extended battery life on the new iPhone XR, your dependence on your charger is lower than ever, but having the best cables for charging and syncing with a hard connection is a valuable asset to your iPhone’s repertoire. The perfect cable to add to your collection of iPhone accessories is the 360 Electrical Infuse 3’ Charging Cable, perfect for quick and durable charging capabilities. Made with vinyl and extending 3 feet in length, it’s the perfect cord for the car, travelling, or day to day use. 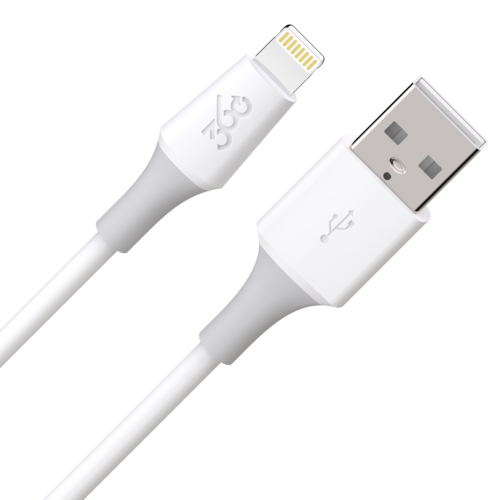 Additionally, the USB input makes it perfect for syncing to your computer with a hard connection or charging from a variety of different devices or outlets, making it the perfect charging cable for on the go iPhone users. It seems impossible, but with Qi technology wireless charging has become a reality on some of the newest devices on the market - iPhone XR included. That’s why Samsung’s Fast Charge Wireless Charging Pad is a must-have for your new iPhone. By simply placing your device face-up on the pad, your device can be charged without frustrating cords that can easily tangle or break over time. 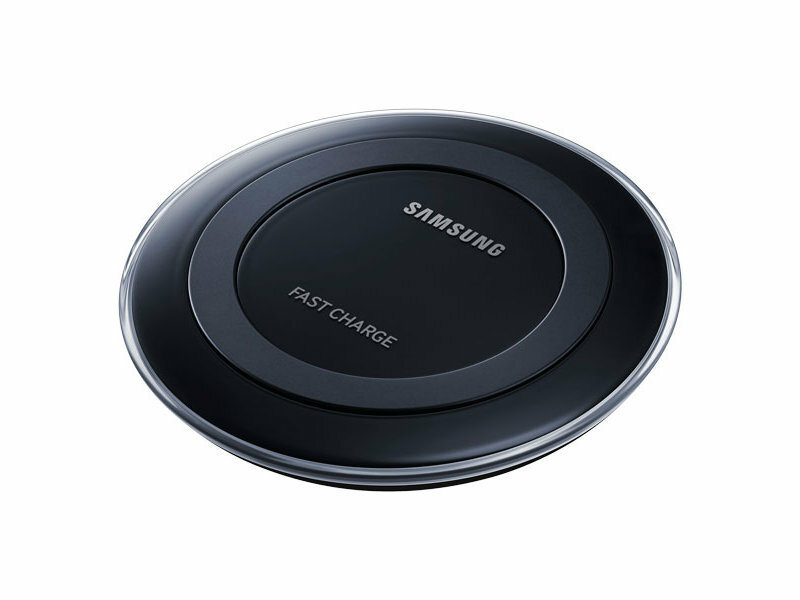 Capable of charging any Qi enabled device with up to 9W power output, the Samsung Fast Charge Wireless Charging Pad is the perfect charging device to have on-hand for travels or at home. With the ability to charge your device 1.4 times faster than competitors, this charging pad can save you up to 50 minutes per full charge and a built in LED indicator light to ensure proper charging alignment so that you can be sure your device is charging quickly and efficiently every time. Half the fun of the new iPhone is all the great accessories you can buy for it to optimize your user experience. With so many great ways to enjoy all the features of your new iPhone, trust in the experts at InMotion to lead you in the right direction in finding the perfect accessories - from cases to headphones to chargers - for your new phone.